Hi there! Not too long ago I tried Bronnley’s Lemon & Neroli Bath & Shower Wash. And now’s the time to summarise what I think about the matching body lotion. In regards to the scent, Lemon & Neroli is a classic fragrance – but it’s quite dated by today’s standards. However, I really like the fresh and zesty fragrance. I think this is a very nice moisturiser. It won’t be a winter favourite, but it would be perfect for summer because of the light formula and the fresh scent. 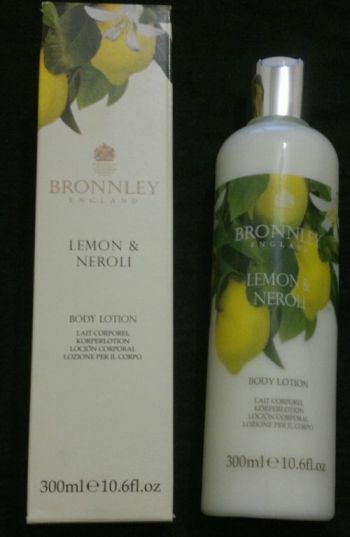 Bronnley’s Lemon & Neroli Body Lotion is available as 250 ml (it used to be 300 ml) for £12 (Bronnley’s web site), but it can be found much cheaper elsewhere. I found mine for £1.99 at a discount store!